We have asked several people in the industry what their thoughts on the new feature are. Below you can find the first part of the responses we’ve had so far. “Google+ for brands is a natural extension of the platform, but it’s also critical to Google’s adoption strategy. I think they’d hoped to become more of a place where friendly, social interactions take place prior to releasing brands on the ecosystem, but have largely failed to be a pure clone of Facebook. Instead, they’re seeing more content sharing, professional relationships and overlap (in small ways) with LinkedIn/Twitter/StumbleUpon. “I’m very pleased that we can finally get our businesses into Google+, but I wish they had taken the opportunity to bake in some much-needed changes. “To me, Google Plus for Brands seemed like a reaction to try and match Facebook’s pages functionality as quickly as possible. Currently these are no different than a normal user’s page, but hopefully they will bump up that functionality, and make them more useful. Brands Promote Google Plus for them – see the Macy’s page for example, 1 day of being live, they have over 170+ to the page and over 9000 followers. They are obviously pushing and promoting, as well as having the first user advantage of course. Brands may concentrate more time on plus, as Google has hinted that plus is / may be a ranking factor. Why wouldn’t the digital for any brand then concentrate on getting their pages running, engaging and useful? Rishi ads more information on the website of our very own Peter Young. “An interesting first attempt at pages, very limited implementation but there is a lot of room to expand I started the ClickNMix one (https://plus.google.com/b/117370445374984079395/117370445374984079395/posts) and once you’ve but the initial information in, there isn’t much to do after that..
“We spoke about this briefly during the recent State of Search radio show and I said then that I felt much of this functionality really should have been included within the original release of Google+ rather than an apparent after thought. It still suffers from a detachment from many other Google Products. Local appears to be the most obvious candidate but I still feel there is just a little something missing that doesn’t give it the edge to the pure customisation of say a Facebook Environment. 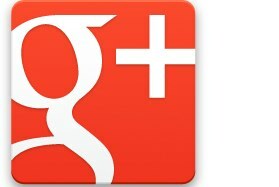 “Google+ Pages for businesses and brands are rich in opportunity. In particular, Google Direct looks to be powerful. With Google Direct would-be searches bypass the search results – no PPC ads, no aggregators, no affiliates or competitors – and leap straight to the business profile. The ability to tie a Google+ Page with an AdWords account and earn cumulative +1s for landing pages may well turn out to be really powerful as well. Google has said it will not normalise the improved click through rate PPC ads with a +1 annotation are likely to earn and so a good Google+ Page may well be a direct boost to your AdWords campaign. However, Google+ Pages lack some very basic features. In particular, the lack of a multi-admin option is a hindrance. Google accounts tend to be associated with AdWords campaigns and so login details should not be shared. This will make the day to day use of Google+ Pages for Brands tricky for large companies or teams until Google provides a solution. “From an affiliates perspective it could well be another nail in the coffin for affiliates attempting to rank for brand terms in Google. The lack of friendly URL’s seems bizzare, ‘phone like numbers’? they are more like credit card numbers and nobody remembers credit card numbers, at least not mutiple credit card numbers! I’m still struggling with my various combinations of personal google accounts, blogger accounts and the business ones!